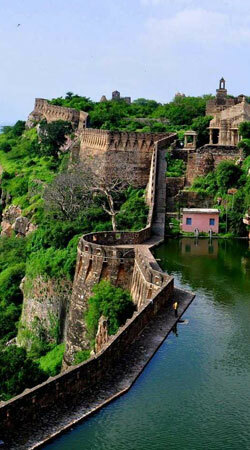 Rajasthan has a long and colourful history and a vibrant modern culture. Vast deserts which stretch to the horizon, glorious forts and palaces - many still occupied by the descendants of their founders - brightly turbaned camel herders - these are iconic images of this fascinating state. Street musicians, artisans and traders flock to the busy cities of while out in the countryside, the hot desert sun ensures that life is never conducted at too hectic a pace. Don’t forget to visit following cities to experience Rajasthan. 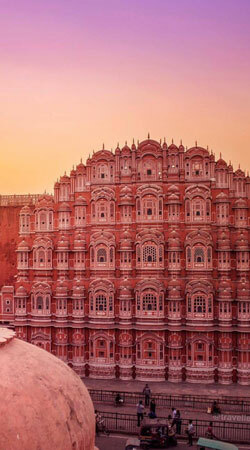 Jaipur has many sightseeing highlights including the City Palace, the former royal residence built in a blend of the Rajasthani and Mughal styles, and the Palace of Winds, an elaborate faade from which the ladies of the royal house would watch parades and festivals. Just out of town is the Amber Fort in the Aravalli Hills - a superb example of Rajput (Medieval Hindu) style architecture. 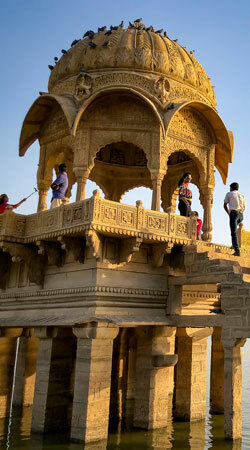 A slow elephant ride takes you to the top of the Fort, which houses several graceful buildings. The walled Pink City still houses bazaars offering the local handicrafts of textiles, silver ware and precious gems. An evening excursion can be arranged to the tastefully recreated Chokki Dhani Rajasthani village where you can dine in a relaxed atmosphere. 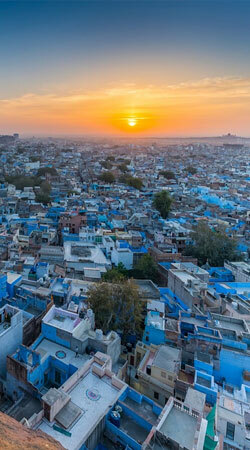 Known as the “Blue City” for the characteristic plea indigo colour of its traditional homes, a day in Jodhpur can include a visit to the majestic Mehrangarh Fort, built atop a 400 ft. promontory. Below the fort, visit the Jaswant Thada, a graceful marble cenotaph built 1899 for Maharaja Jaswant Singh II, and monuments to other Maharajahs of Jodhpur. 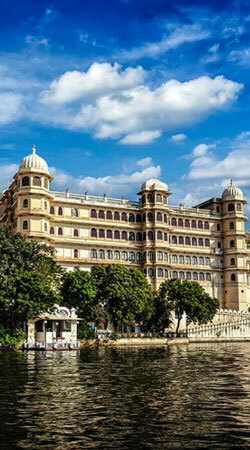 Udaipur is built on the shores of Lake Pichola and dominated by the Lake and City Palaces. This region is famous for the schools of miniature painting done with one or two hair brushes, recreating the scenes of the old Mughal courts, processions and Hindu deities. You can view the private collections of the Maharajah within the main Udaipur Palace, take a boat ride on Lake Pichola to bring back the images of the days when the Maharajahs ruled. 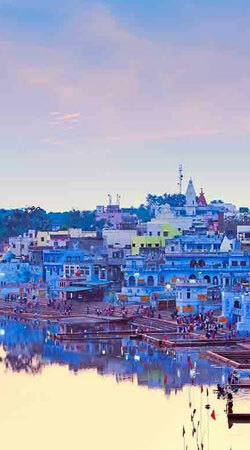 A small town set around the sacred lake and the only temple dedicated to Brahma in India. Its population swells to many thousands during the annual Camel Fair in October / November each year.